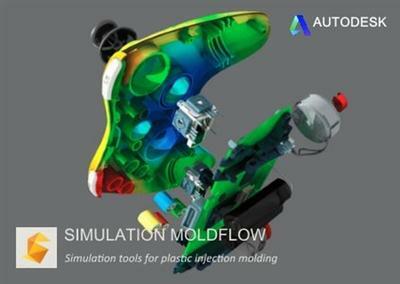 Autodesk Inc. a world leader in 3D design software for entertainment natural resources manufacturing engineering construction and civil infrastructure announced the release of Simulation Moldflow Products 2015.1(2) is a set of tools for modeling the process of plastic injection molding. Autodesk Simulation Moldflow software provides fast accurate and flexible plastic injection molding simulation tools to help CAE analysts designers and engineers validate and optimize plastic parts injection molds and the injection molding process. With access to over 9200 grades of commercial plastics and accurate material data manufacturers can evaluate various material options. Autodesk Simulation Moldflow supports direct data exchange with most CAD software tools. Moldflows calculated structural properties can improve the accuracy of structural analysis products including Autodesk Simulation Mechanical. Companies worldwide use Autodesk Simulation Moldflow to make great products by reducing the need for costly physical prototypes avoiding potential manufacturing defects and getting innovative products to market faster.